AIIMS MBBS Eligibility 2019: AIIMS is a National Level exam which offers various UG-PG Courses. AIIMS Entrance Exam will be conducted to provide admission to AIIMS, New Delhi, Bhubaneswar, Patna, Raipur, Bhopal, Jodhpur, Guntur, Nagpur, and Rishikesh. To get admission into one of the AIIMS College Candidate have to fulfill all the eligibility criteria, fill Application Form and Qualify the AIIMS Exam. To make things understandable we have explained almost Complete Criteria of AIIMS MBBS 2019 here. Candidate must have at least 17 years of age as on December 31, 2019. Candidates with DOB on or after January 2, 2003, will be not eligible to apply. 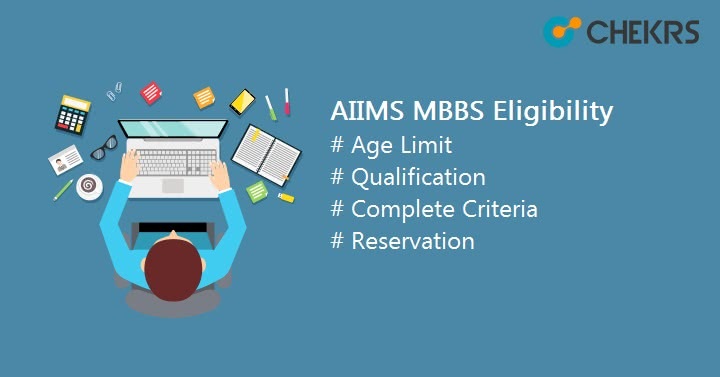 Indian candidates, as well as NRIs, PIOs Foreign Nationals and overseas citizens of India, are eligible for AIIMS MBBS 2019. Overseas Citizens of India (OCI) candidate will have to submit the proof of registration as OCI under Section 7A of Citizenship Act 1955. Candidates must have passed Class 12th Class 12 under the 10+2 scheme/CBSE or Intermediate Science or an equivalent examination from any recognized board or university. They must Be Passed the above exam with subjects like English, Physics, Chemistry, and Biology. Candidates who are appearing in these exam and related courses are also eligible for the AIIMS MBBS Exam. Candidates who are appearing for HSC or 12th will only be Eligible for AIIMS Admission through the AIIMS MBBS 2019 Entrance exam, After providing the passing certificate. All the candidates from Unreserved category need to obtain a minimum of 60% aggregate marks in class 12th exam in English Physics, Chemistry, and Biology subject. All the candidates from Reserved category (SC/ST) need to obtain a minimum of 60% aggregate marks in class 12th exam in English Physics, Chemistry, and Biology subject. At AIIMS New Delhi, 3% of reservation is there, For OPH candidates on horizontal basis. This reservation is for the candidates having the disability of lower limbs between 50%-70%. If there is no such candidate, candidates having a disability of 40% to 50% will be considered for this 3% reservation. Only in AIIMS New Delhi, the reserved seats for candidates belonging to SC/ ST are 11 and 5 respectively. Other than AIIMS New Delhi, There is 15% of seats are reserved for candidates belonging to SC and 7.5% seats reserved for candidates belonging to ST Category. For OBC candidates there are 19 seats in AIIMS New Delhi, and there is a reservation of 27% of total available seats in other AIIMS. So we have provided all the major AIIMS MBBS Eligibility Criteria for the AIIMS 2019 Entrance exam. These details can be changed according to the Official Notification. But there will be no major changes. If candidates are eligible for AIIMS MBBS then they can fill the AIIMS UG Application Form 2019 and appear in the Entrance exam.